To genuinely appreciate volunteers, we must go beyond plaques, pins, certificates, and giveaways. It involves deep listening and honoring the true needs of volunteers. Unfortunately, executive leaders sometimes don’t readily see the value of investing resources (time + money) into anything beyond trinkets that have little meaning. You’ll learn how to successfully carry each reason to completion. Ok, you knew this reason, but that doesn’t help you tackle it. You want to appreciate the true needs of your volunteers, but many of their expectations are never verbally expressed. Psychological Contract theory can help. Tested Ideas Based on Research! When we receive, we expect to repay. This is deeply ingrained into our instincts as humans and is also an important part of our social fabric. Volunteer appreciation aligns with the existing social norms of reciprocity, affirms life’s goodness through the example of service, and communicates the organization’s humble dependence on others. Much of our expectations in the work (and volunteer) world are based on promises we think others have made to us. These are known as psychological contracts (PC), and they represent the mutual beliefs, perceptions, and informal obligations between an employer and an employee (or volunteer). They set the dynamics for the relationship and can include both the implicit “unwritten” and explicit “clearly expressed” promises. They rest on the notion of reciprocity. An explicit promise might be that an organization will provide five hours of expert training to volunteers. 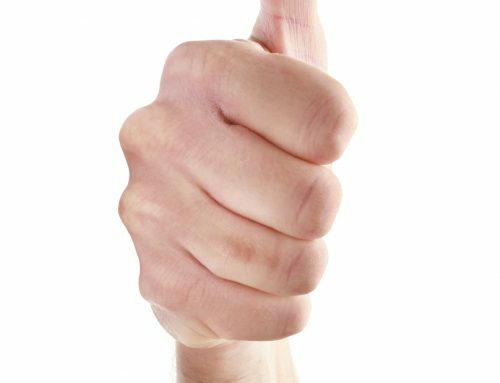 An implicit promise by a volunteer might be that they will be loyal to the organization and not speak poorly about them in public. Unfortunately, psychological contracts are created in the mind and almost never expressed. This causes friction between volunteers and paid staff as expected “promises” go unfulfilled, which is known as a breach. When unchecked or rectified, breaches can mean perceived promises aren’t kept, which leads to negative emotions, which in turn leads to a perceived violation or slight, which can then result in decreased job satisfaction, commitment, and ultimate performance. A breach can be experienced by both volunteers and paid staff, creating a vicious cycle of discontent. That’s why it’s imperative to appreciate volunteers by understanding and surfacing expectations. 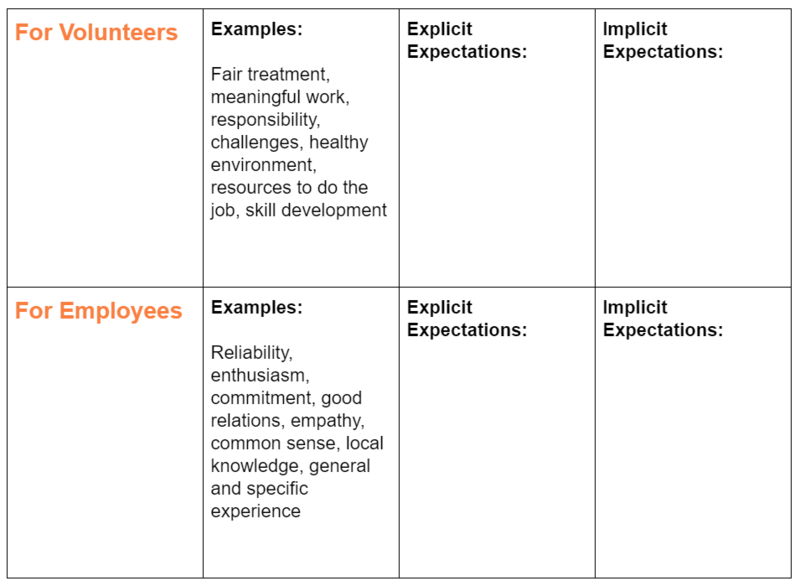 Mapping expectations is one way to begin to understand the hidden dynamics within each of your volunteers. 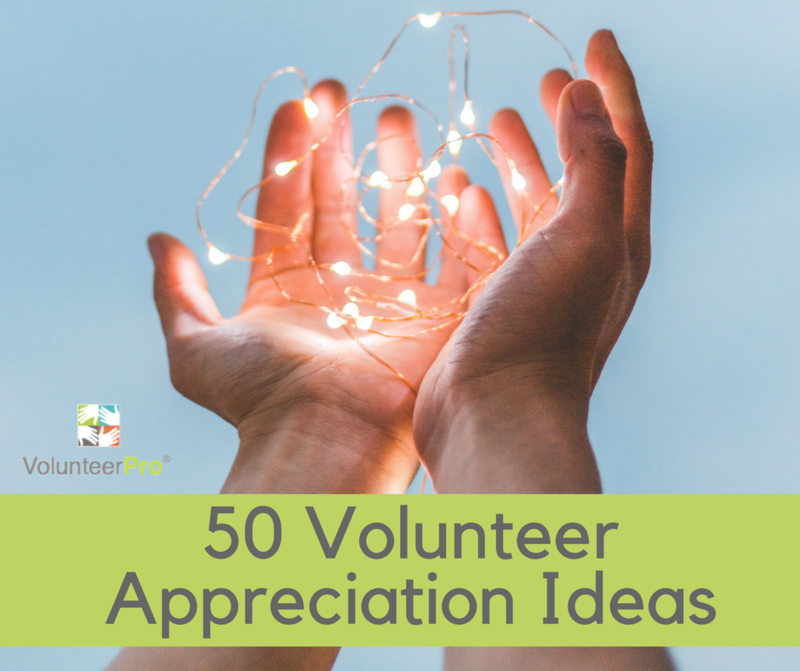 This will also help leaders better appreciate volunteers and understand how to recognize and reward them by directly meeting needs. Use the template below to brainstorm the explicit and implicit promises you believe make up the psychological contracts of your volunteers and co-workers. To get you started places the examples below in under explicit or implicit. Beyond simply that it’s “the right thing to do,” learning to appreciate your volunteers daily can directly impact your organization’s bottom line. 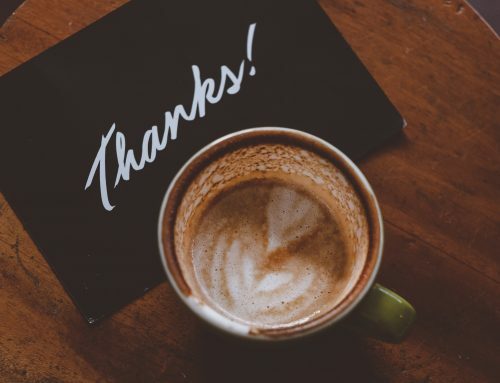 Gratitude also helps employees (and volunteers) see beyond a disaster or failure and recognize their gains. This is good news for nonprofits who must address complex challenges every day. 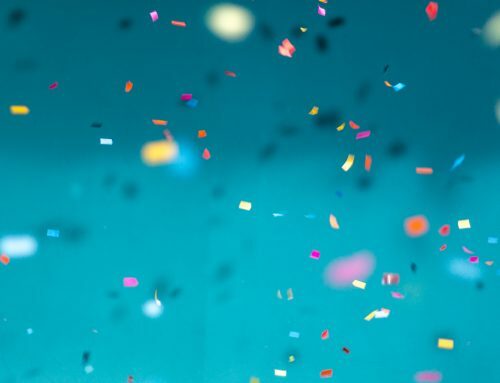 Robert Emmons, an expert on gratitude and professor at UC Berkeley, argues that gratitude gives teams a tool “to transform an obstacle into an opportunity,” and reframe a loss as a potential gain. Volunteer appreciation can actually help us become more resilient even in tough times. 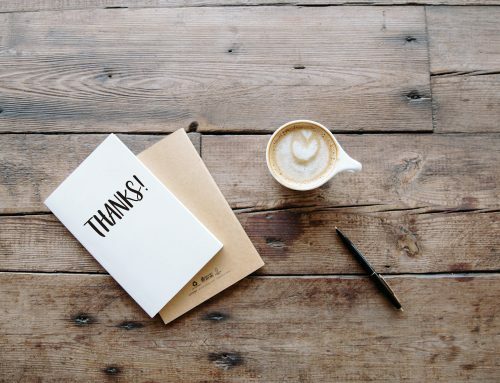 “Gratitude builds up a sort of psychological immune system that can cushion us when we fall….There is scientific evidence that grateful people are more resilient to stress, whether minor everyday hassles or major personal upheavals,” he notes. In addition, researchers have found that giving thanks lowers daily aggression, hurt feelings, and overall sensitivity. In fact, an activity as basic as writing a letter or mentally counting your blessings once a week has been shown to decrease aggression. Gratitude also increases the effectiveness of decision making by increasing levels of patience. So, the next time you get push back on your proposal to recognize volunteers and board members, share the evidence. Then, link it back to your agency’s goals. Is volunteer appreciation worth the investment? You be the judge.